Over the years we have been asked about doing an employee scheduling program. It’s not that we don’t think scheduling is important, it’s just that something has always taken precedence. Finally, we have been able to find a development spot to get this done! This is a FREE upgrade for any of our customers that are current on a support plan. Schedules can be set by employee for the current week and the next week. The schedules are checked for time overlaps as well as potential overtime issues. Once the schedule is in, it can easily be duplicated for the next week. A number of new reports have been added that allow for printing of master schedules, individual schedules and blank schedules. 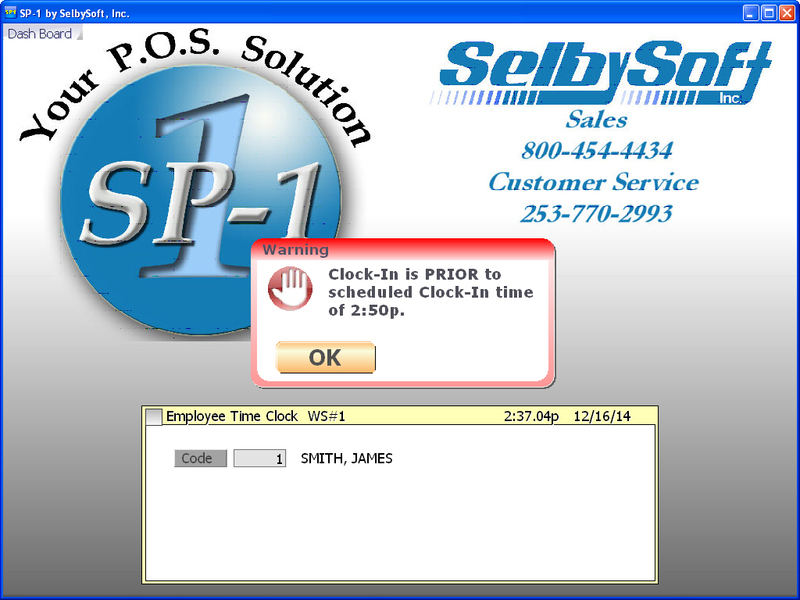 Once your employees are setup on the schedules, SP-1 will stop them from clocking in before their scheduled clock in time! You can set the grace period for this action in SP-1. For Example: Let’s say the grace period is set to 10 minutes. Sue is on the schedule from 8am to 1pm. She arrives at 7:30am and starts to chat with the fellow employees and hang out. Prior to the scheduling system, Sue could clock in and waste 10-30 minutes of payroll. Now, when Sue clocks in, the system will ask for a manager password if she is more than ten minutes early!